A pleasant mixture between modern and medieval, Prague is full of old-world sites, packed to the brim with cultural landmarks and experiences, and home to many, many gastronomical delights, including their famous dumplings and beer, which are always best when consumed together. The atmosphere is relaxed and candid, and there’s plenty of things to do! Whenever I visit a new city, my favorite thing to do is just to walk around and get a feel for the layout and the landmarks in the area. One of my favorite loops circles around the city center, starting at the Astronomical Clock in the Old Town Square, passing through the square and up through the Jewish District, across the river to look at the Charles Bridge, through the park that lines the river and then back across the Charles Bridge and back to the Astronomical Clock. Old Town Square: The Old Town Square holds such attractions as the Astronomical Clock, the Old Town Hall, the St. Nicholas’ Church, the Tyn Church, Kinsky Palace and the Jan Hus Monument. You can go into some buildings for a fee, but I prefer the views from the ground. 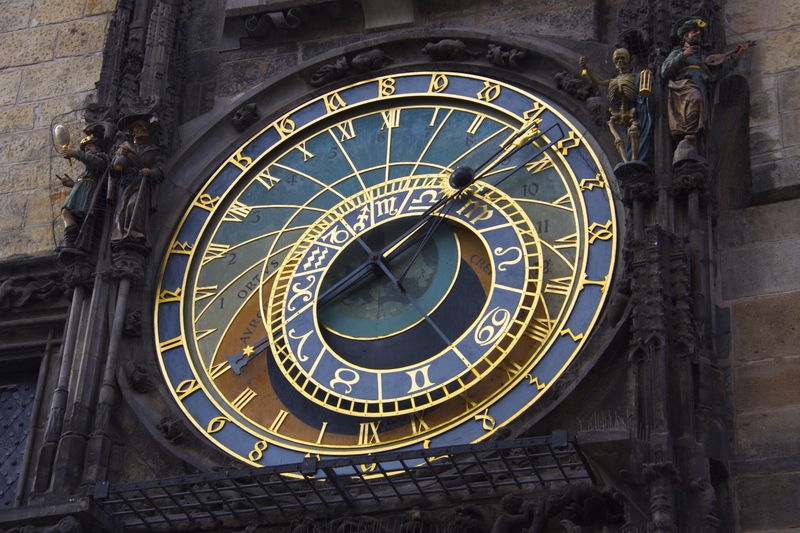 Every hour a large crowd gathers around the Astronomical Clock to see the old figurines of the Twelve Apostles on a slow, rotating display. Prague Castle: The Castle Hill offers great views, but the actual layout of the castle can be a little bit confusing. Make sure you get in line for an audio guide and ticket instead of just a standard ticket, otherwise you might get lost and miss something great! The cathedral is the most glamorous building in the compound and well worth a look. Jewish District: The Jewish District of Prague is located close to the Old Town Square, and can be reached within five minutes on foot. The district was beautifully maintained during WWII by Hitler, who intended to turn the entire area into a “museum of an extinct race.” The buildings here are classic and very well-kept, and currently house a variety of luxury brands, if you’re interested in doing some shopping. 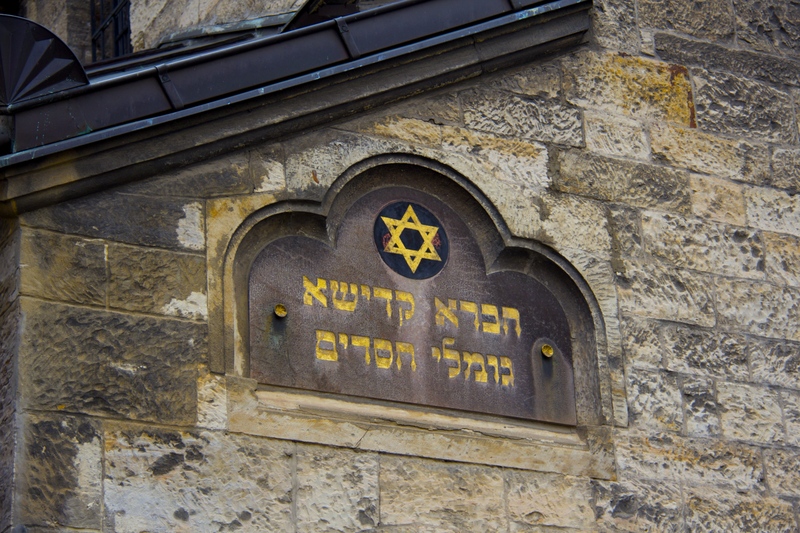 There are a number of old synagogues in the area, which have all been turned into museums commemorating Jewish life, culture, the Jewish experience under Naziism, and the persistent memory of all those who lost their lives during the Holocaust at the hands of the Germans and the Czechs. 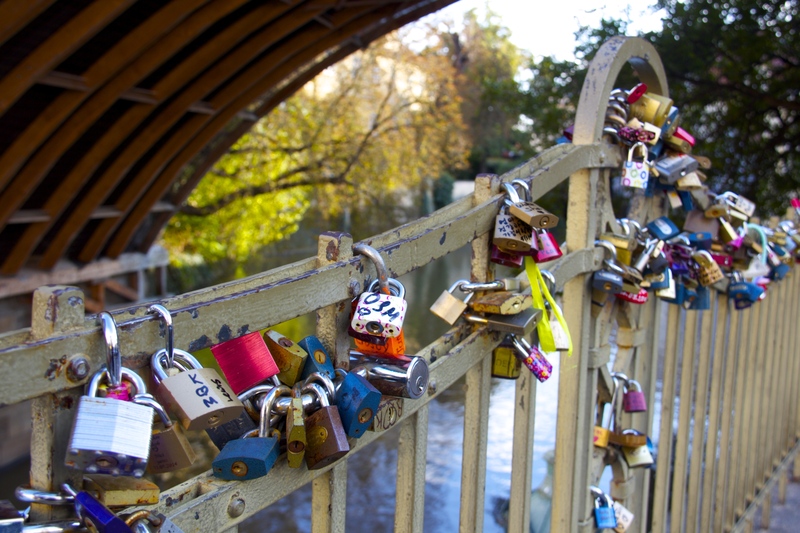 Far and away one of the most meaningful and memorable things to do in Prague. Botanic Garden: Small but free of charge, its nice to get a break from the city while staying within the city. Full of big trees, winding paths and gardens, its a nice way to kill a few hours. There are also a number of greenhouses on site, some of which hold paid exhibitions. Charles Bridge: Dating back from the 13th Century, the Charles Bridge has long been a part of Czech History and the landscape of Prague. I would recommend walking it twice; once during the daytime and once at night. Its full of art, buskers, statues and beautiful views, but beware: its also full of beggars, tourists and pickpockets. Keep an eye on your belongings while you’re here and you won’t have any problems, but it can be quite congested, day or night! Visit a local brewery: Prague is home to hundreds, if not thousands, of little breweries, and the beer that comes from them is cheap, interesting and delicious! Pivovarsky Dum, a restaurant that I’ve recommended in my “where to eat” section, has a 12-beer sampler set, with interesting beers such as nettle and cherry flavored. Unfortunately I’m gluten-free and couldn’t sample any of them, I have it on good authority that they’re worth a try! 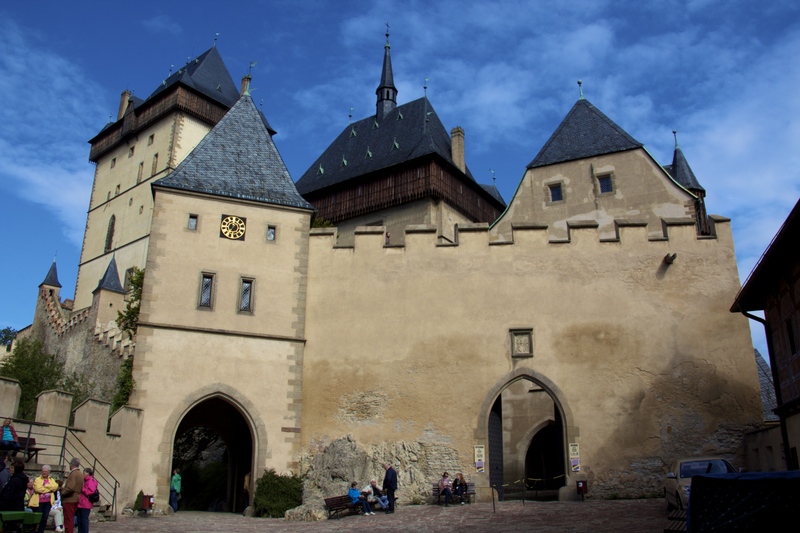 Karlstejn Castle: A quick 45-minute train ride out of the city, a day trip to Karlstejn Castle will transport you to the countryside of the Czech Republic. The town itself can be a little kitschy, but is full of restaurants and some cool little shops, selling a variety of things, from local foods and produce to marionettes and war memorabilia. The castle is beautiful and looks strikingly different from most other castles I’ve seen before. They only do guided tours of the castles, which are offered in several different languages so that everyone can enjoy them. I loved the aesthetics of Karlstejn Castle, and would highly recommend it for a day trip. Cesky Krumlov: A UNESCO World Heritage Site, Cesky Krumlov is a 13th century town and castle complex. The castle is remarkable for its size in comparison to the town it stands over, with the majority of its architectural structures dating from the 14th to the 17th centuries. It is one of the most popular day trips from Prague, though you have to leave the city early and prepare to return late-ish, as it’s 2.5 hours away form Prague by train. Kutna Hora: Kutna Hora is famous for its Bone Church, another UNESCO World Heritage Site. Located only an hour away from the city, its easily accessed by train. 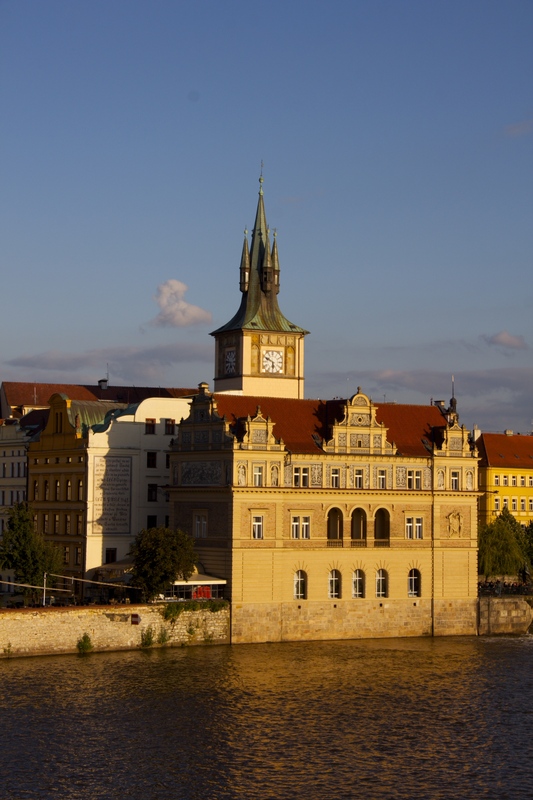 The town is small and scenic, and a pleasant place to explore away from the crowds of Prague. 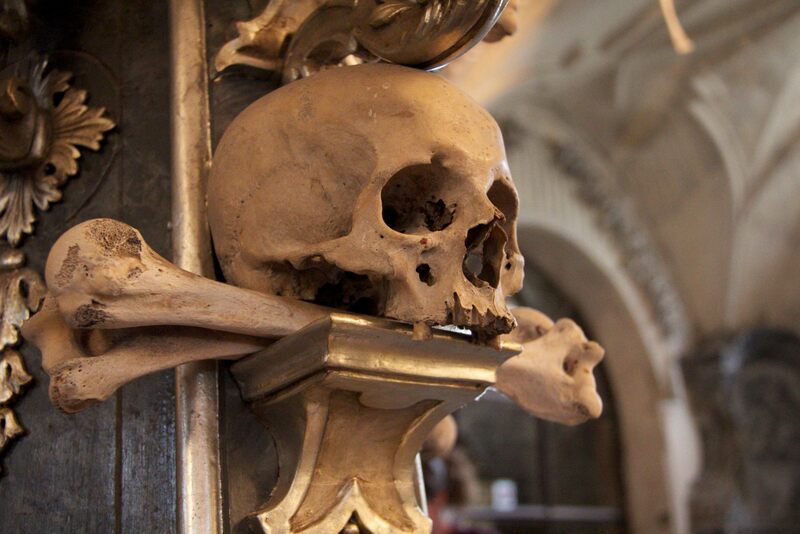 The bone church is referred to as the Sedlec Ossuary, and from the outside looks more or less unremarkable, though when you get inside its a whole different story! Its small, but the interior is packed to the brim with bones, all artistically placed and serving as the primary means of decoration of the church. For backpackers: I stayed at the St. Christopher’s Prague hostel last time I was in Prague, and it was a pretty stellar place to be. The room I had was big and held a lot of people, but had a beautiful, newly-done ensuite bathroom that made it feel more like a hotel than a hostel. The bar upstairs can be a little noisy, but I found that it didn’t bother me too much. Also, the bar upstairs is a pretty cheap place to get some drinks and food, so have at it! For non-backpackers: Hotel 16 is an absolute gem. The location is a short walk out of the city center, which I personally enjoyed, and the staff really make the place what it is. They are friendly, eager to chat, like to offer help and will answer any and every question you might have. The included breakfast is out of this world, too! Try a ham and cheese omelette, cooked to order, or any of the a la carte buffet-style options, including a variety of meats, cheeses, breads and yogurts. A casual, comfy restaurant, U Kroka offers amazing food at pretty cheap prices. After eating heavy Czech food for a few days, the opportunity to have salads and lighter fares was a welcome break. 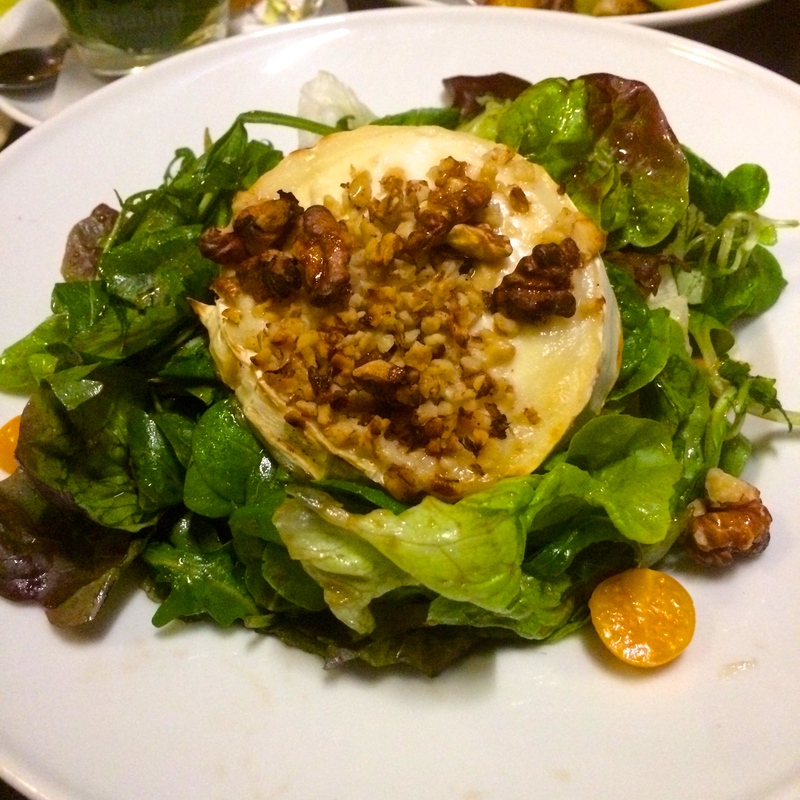 I personally loved the warm goat cheese and walnut salad, and my parents were fond of the chicken schnitzel and the duck with cherry glaze and mashed potatoes. Everything was great, and we went back more than once! They’re almost always fully booked, though, so be sure to make a reservation before you go. This was one of the best restaurants located within short walking distance of our hotel, and we ate there twice. Owned by an American chef, the restaurant offers both Czech and other international cuisines. Their wild boar tenderloin is to die for! The prices are a little steeper than other places, but not as expensive as prices are in the city center. Located near the Charles Bridge, Lokal is a small restaurant with a focus on healthy, sustainable and local ingredients. 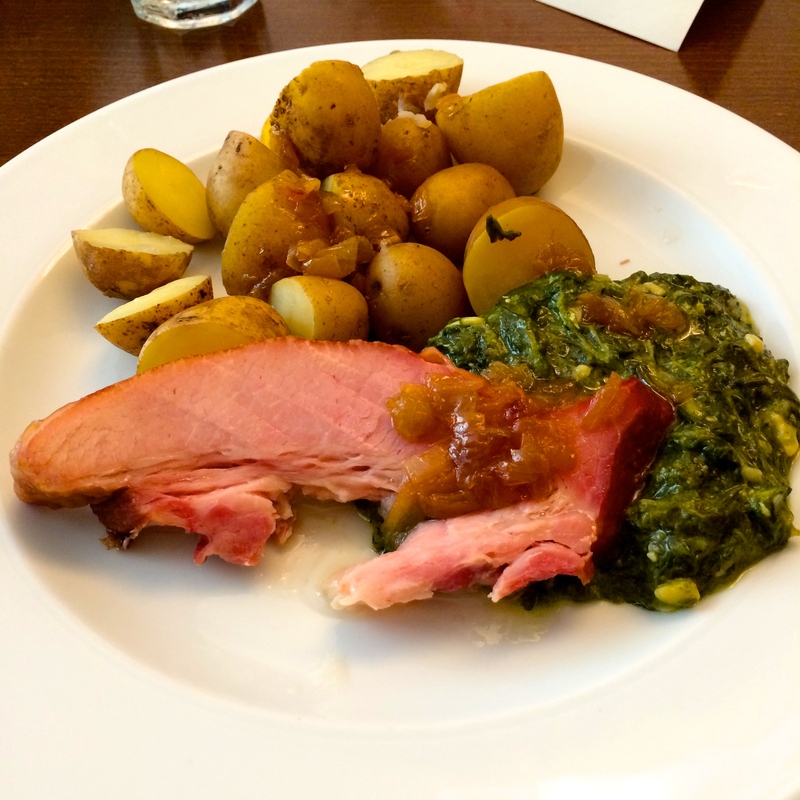 The food was primarily Czech, and heavy on meat and potatoes. All and all made for a very satisfying lunch. Also located in the vicinity of our hotel, Pivovarsky Dum offers Czech foods almost exclusively. They’re also a brewery, and offer some great local beers! They also have a beer tasting tray, which includes interesting brews that include nettle and fruity beers. Taking the trams and the metros is the easiest way to get around Prague. Our hotel had tickets available for purchase and that could be sold back if they weren’t used, which meant that we were never without one when we needed them. You can also buy tickets at the metro stations. You can also take taxis if you need to, but taxi drivers will usually try and rip you off. Generally speaking, a taxi trip should not cost you more than 170-200 koruna, though most drivers will tell you its 300-500, especially if you’re near a train station. Don’t be afraid to haggle, but know that some drivers will not be talked down. Your best bet is to have someone call a cab for you, as they’ll usually give you a fair price, or to hail a cab that’s driving around looking for customers instead of parked near an attraction. 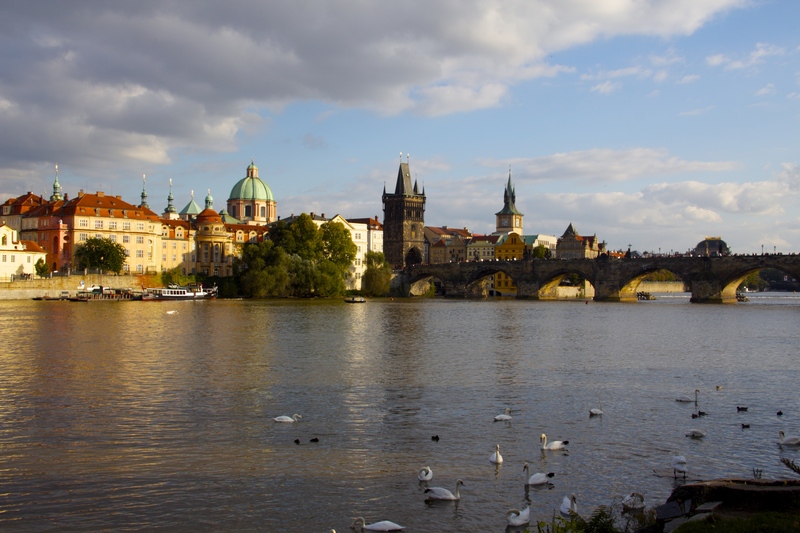 Prague is a great introduction to Eastern Europe, full of medieval wonders, beautiful architecture, a lovely city center and close in proximity to numerous interesting and rewarding day trips. Be sure to leave yourself enough time to explore and enjoy all that Prague and its surroundings has to offer, as the best parts are often located off the beaten path. Previous Post Bucket List Item: Zorbing in Rotorua, New Zealand!